Best Buddies International, a nonprofit dedicated to creating opportunities for friendship, employment and leadership development for people with intellectual and developmental disabilities (IDD), is pleased to announce that the 18th Annual Best Buddies Challenge: Hyannis Port, presented by Pepsi-Cola, Shaw’s Foundation and Star Market Foundation, will take place June 2-3. More than 2,500 people are expected to participate in the Challenge – a charity walk, run and ride to benefit Best Buddies International. 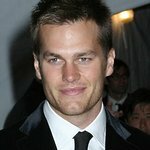 Tom Brady, New England Patriots Quarterback and Best Buddies Global Ambassador, will serve as Honorary Co-Chair, along with Celebrity Chef Guy Fieri and Congressman Joseph P. Kennedy III. During the Challenge, Event Chair Ted English, Executive Chairman of Bob’s Discount Furniture, will help honor Retired CEO of Natixis Global Asset Management John Hailer with the Spirit of Friendship award for the incredible work he has done to promote Best Buddies’ mission of friendship and inclusion. Several New England Patriots players, past and present including Julian Edelman, James White, Dion Lewis, Jimmy Garoppollo, Chris Hogan, Rob Ninkovich, Scott Zolak, Christian Fauria, and Dan Koppen are expected to attend the Tom Brady Football Challenge at Harvard Stadium. 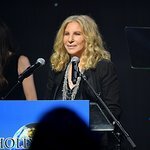 Other celebrities, professional athletes and special guests expected to participate in the Challenge weekend, includes: Olympian and Best Buddies Global Ambassador Carl Lewis, Actors Olivia Culpo, Jason Lewis and Charlotte McKinney; Miss USA 2017 Kára McCullough, Miss Teen USA 2016 Karlie Hay, Massachusetts Governor Charlie Baker and First Lady Lauren Baker, and Boston Mayor Martin J. Walsh. Guests can expect to be entertained once again this year as Foxwoods Resort Casino returns to deliver adrenaline-pumping excitement during the Tom Brady Football Challenge halftime show. Foxwoods President and CEO Felix Rappaport and Chairman Rodney Butler of the Mashantucket Pequot Tribal Nation will be joined by five-time Super Bowl champion Tom Brady to help announce the initial phase of a significant, unparalleled new development this summer at Foxwoods – at 60 miles per hour! Also returning this year is the Guy Cooking with Best Buddies Celebrity Chef Food and Wine Festival, presented by Pepsi-Cola, Shaw’s Foundation and Star Market Foundation. This culinary festival will feature over 30 chefs from top local restaurants providing delectable food tastings and a variety of complimentary wine and beer options, all for a great cause. Steve DiFillippo, founder of the renowned Davio’s Restaurant Group and inductee to the Massachusetts Restaurant Hall of Fame, and Chef Allen Campbell will serve as the Special Chef Vice-Chairs of the event. On Saturday, June 3, hundreds of cyclists, including professional cyclists George Hincapie and Christian Vande Velde – will take the starting line at Santander Bank on Columbia Point in Dorchester for the picturesque 100-mile ride portion of the Best Buddies Challenge: Hyannis Port, from Boston to Hyannis Port. The Challenge is open to participants of all ages and abilities and is designed to showcase the Best Buddies mission in action. It also features alternative 50 and 20-mile cycling routes, as well as the Carl Lewis Challenge, a 5K run or walk. The Challenge will be capped off by a New England-style clambake and private concert by the legendary Joan Jett and the Blackhearts, which all participants and special guests are invited to attend. This year’s Challenge sponsors include: Presenting Sponsors Pepsi-Cola, The Official Beverage of the Best Buddies Challenges, and Shaw’s Foundation and Star Market Foundation; Hyannis Port Club Sponsors Bob’s Discount Furniture, Foxwoods Resort Casino, Greenberg Traurig, Hublot, Seyfarth Shaw, Santander Bank, The TJX Companies, Inc; Cape Club Sponsors Chobani, CVS Health, The GEO Group Foundation, John Hancock, Klingman & Associates, Natixis Global Asset Management; Craigville Beach Club Sponsors Blue Cross Blue Shield of Massachusetts, BNY Mellon, Celebrity Cruises, Cold Stone Creamery, Cooking with Kids Foundation, Crescent Capital Group, Eaton Vance Management, Makarov Foundation, Mark Edward Partners, MidState Auto, Pilot Freight Services, RAI Services Company, Joe Shay, Jr., Teddie Peanut Butter, Vertex Pharmaceuticals, Volvo, Wells Fargo, BMC, and Media Sponsors Boston Business Journal, CBS Radio/98.5 The Sports Hub, WHDH/Channel 7 and 90.9 WBUR.